This was my Historical Sew Monthly item for February. I cut it out nearly a year ago and it sat around for many months until I finally decided to begin sewing it up. 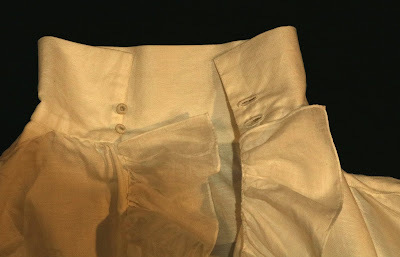 I've wanted to try one of those shirts with ruffles on the cuff slits ever since I noticed that they existed. 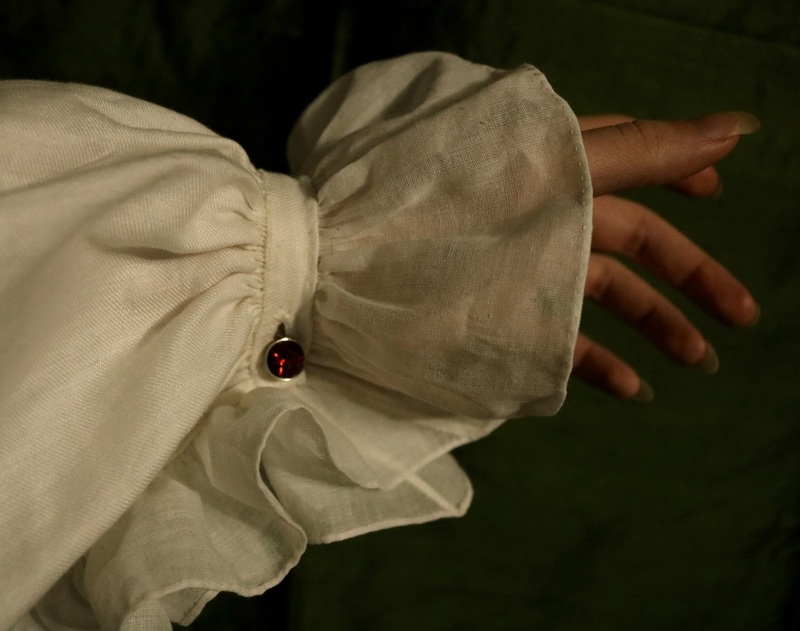 It's hard to see that part of the sleeve in a lot of portraits, but I've gathered a bunch on pinterest where a cuff slit ruffle can be seen. I also managed to find photos of an extant shirt that has these ruffles. Shirt, 18th century, Meg Andrews. 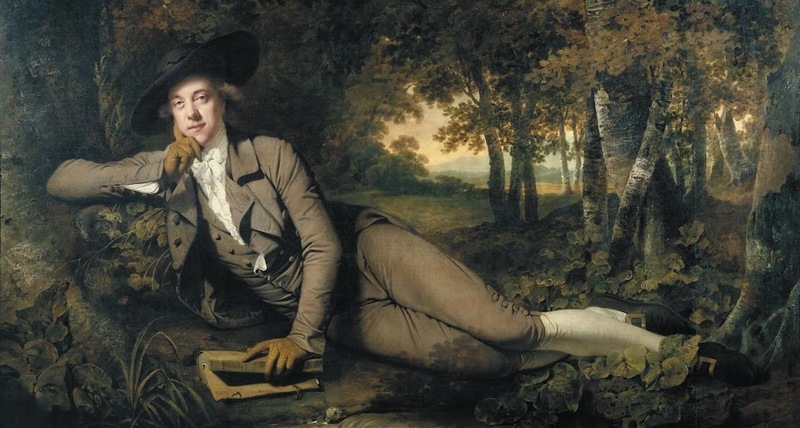 Here's one of the portraits in which the ruffle is most clearly visible. 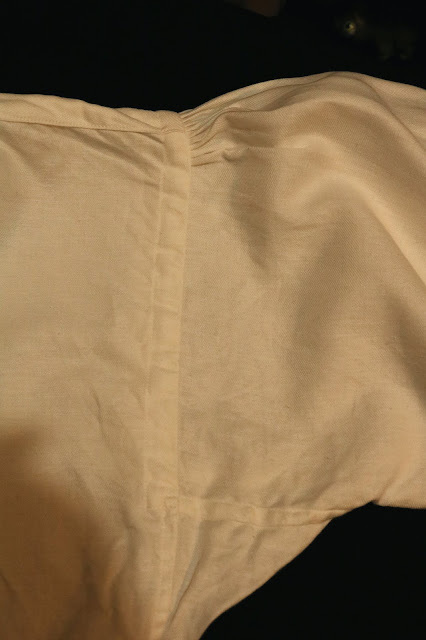 My shirt is made of that fine linen twill I got years ago. 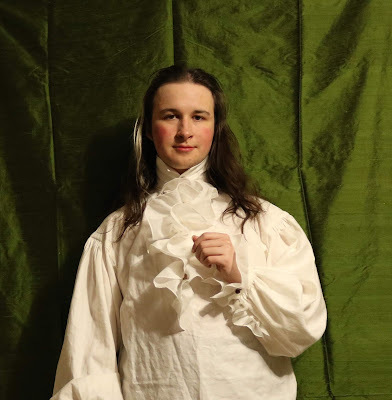 It's an inaccurate weave for 18th century shirts but I still have a bunch that needs to be used up. It's mostly machine sewn. There's hand finishing on the bosom slit and the inside of the collar. 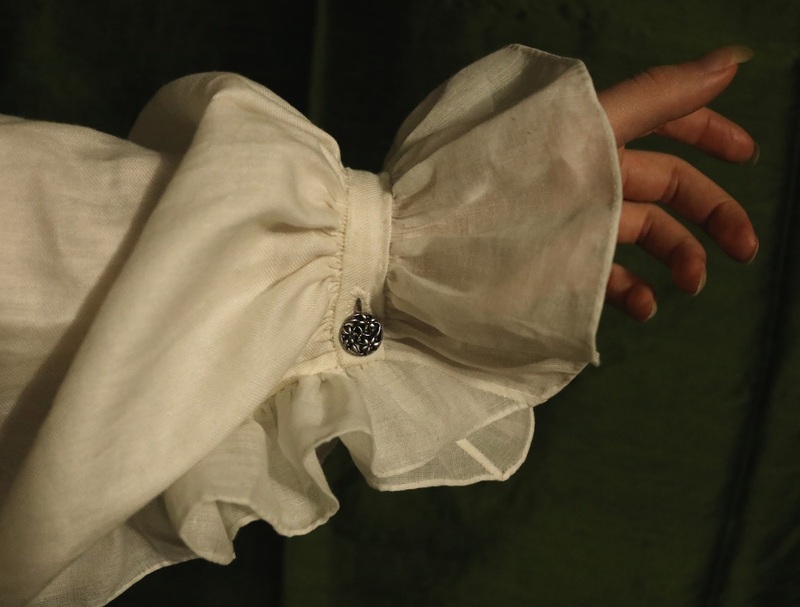 The cuffs, ruffles, buttons, and buttonholes are all by hand. Hm, maybe that's not mostly machine sewn. These are definitely the best ruffles I've ever done. 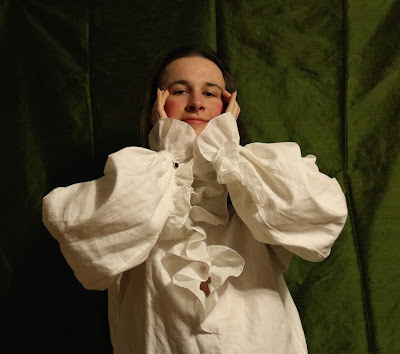 I didn't know how to attach ruffles properly until very recently, when I came across this nice video tutorial on doing rolled whip gathers. The ruffles are made from a semi sheer cotton that has been in my stash for years. I think it might have come from Mama's stash originally. I'm quite sure I didn't buy it. 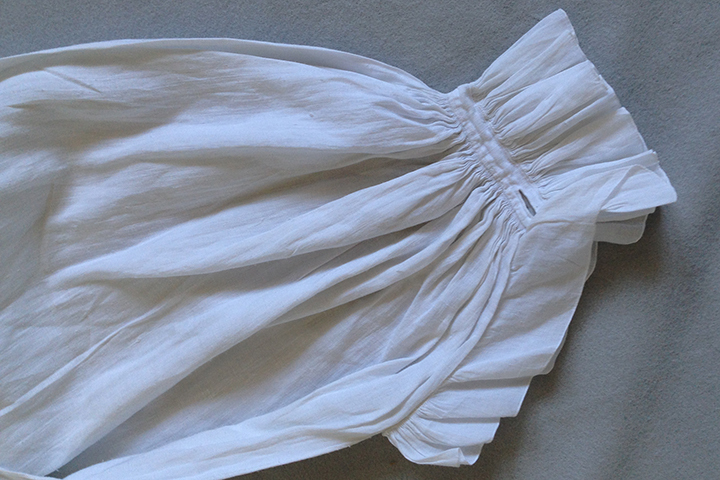 I hemmed the ruffles with a small rolled hem. 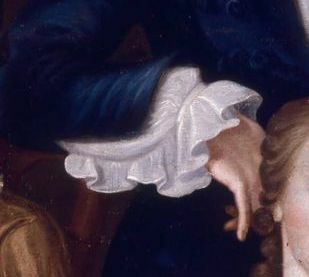 As with so many historical sewing techniques, I couldn't figure this out on my own, but it seems so obvious now. 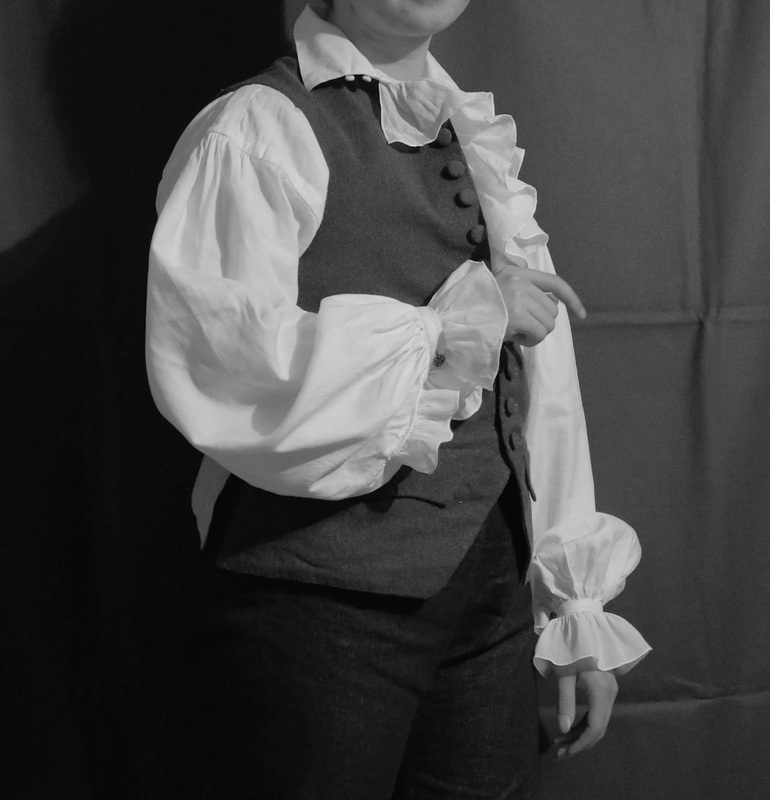 It took quite a long time to attach all the ruffles but the results are well worth it. I can't see the seam joining the two parts of the ruffle on the extant shirt, but I'm assuming it's just a tiny flat felled seam. And the narrower ruffle must have the end cut on an angle, since there's no other way to attach it smoothly to a wider one. 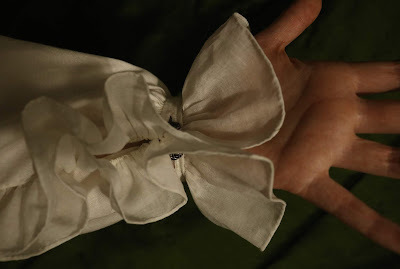 I sewed my ruffle seams by hand and made them very small. I made a new pair of sleeve buttons after I finished this shirt, with floral metal buttons, which are shown in the photo above. The red ones in the photo below are one of two pairs I made with cheap rhinestone buttons last year. I was a bit late posting this in the HSM group. I originally cut the cuffs too small, and after I had hand sewn them on, and done buttonholes on them by hand, I had to take them off and make new ones 1cm longer. This was rather discouraging, so I was 3 days late finishing it. Because I had cut the shirt out so long before I sewed it up, the collar turned out to be too high. 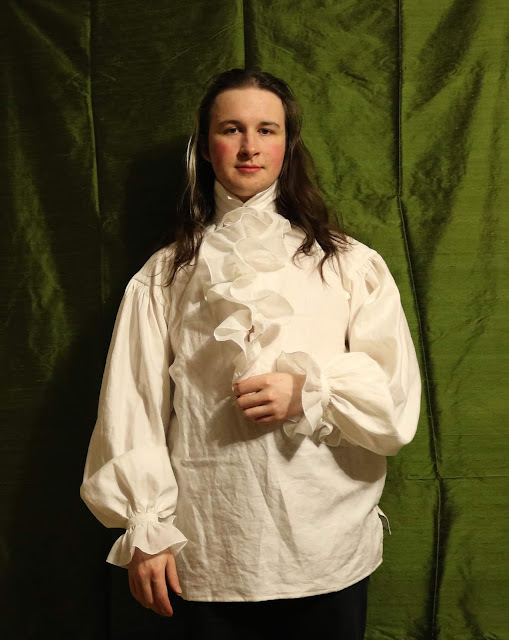 I should have noticed and trimmed it down before sewing it on, but I did not, and so it's a bit too high collared to be an early 18th century shirt. I could probably just fold it down and hide it under a stock though. Year: uhh 1760's-70's ish? It could have gone as early as the 30's if I hadn't made the collar too tall. 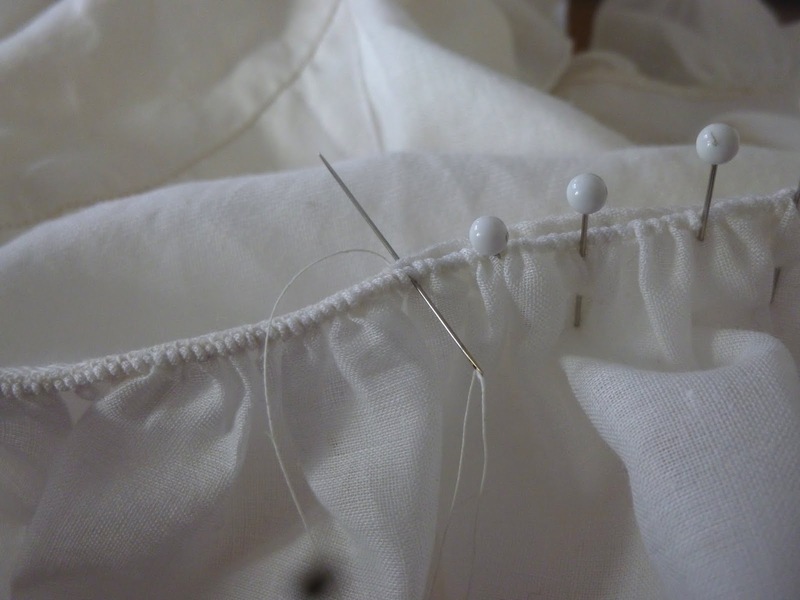 Notions: Silk thread, linen thread, cotton thread, heavy linen thread for buttons, DMC cotton pearl for buttonholes. How historically accurate is it: Maybe about 80%? The linen twill isn't an accurate weave for shirts. The main seams are by machine, but there's a fair amount of hand finishing. The pattern is mostly accurate but I did cut the collar a bit too high. Total cost: I think about $15 or so (Canadian). The linen was on a buy 1m get 2 free sale. 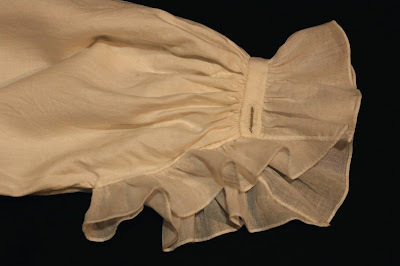 I love my gauzy ruffles! They make such a difference in how nice the shirt looks! So froofy! I love this shirt. Another nice shirt. 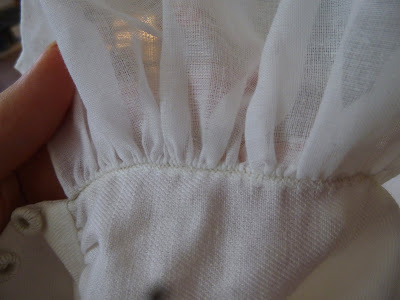 I love how the ruffle is sewn in the tutorial. I would have never thought of this technique. I love the result.